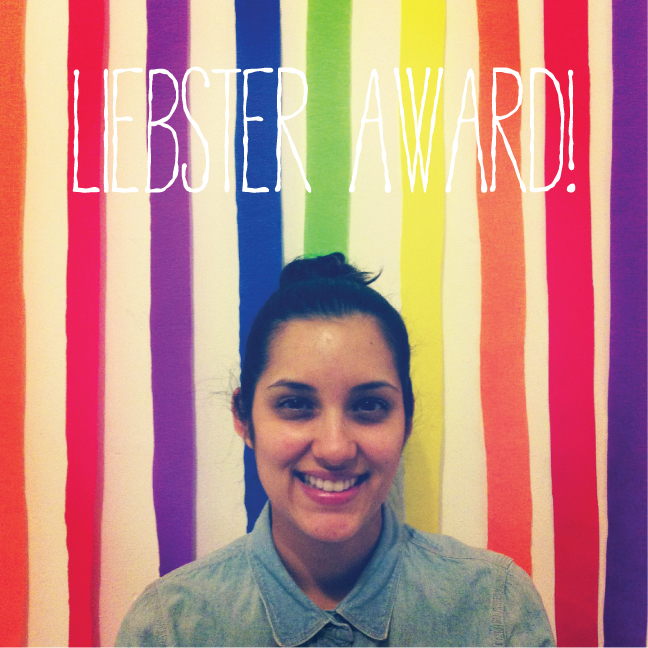 Made With Love: Liebster Award! Pass them along to five bloggers of your choosing... big or small, it don't matter! At the ripe old age of almost 28 (yep were feeling confident about this again guys!) I'm happy to report that I am still pretty flexible, can touch my toes, do a split on BOTH SIDES, and touch my tongue to my nose... yes, even my tongue is flexible! What is your dream job? My dream job would be creating pretty things to make people happy in all mediums imaginable... so if you know of the job, I'm looking! Favorite movie or TV show? Let's go with TV show... and if you know me, you know it's F.R.I.E.N.D.S! I love that show to death and back, use it as reference with life's daily hiccups, and own the entire box set! If you could have lunch with anybody, who would it be and why? Well right now since I see hubs all the time, it would definitely be my sister (little k) because I miss her to pieces! Favorite food? That's such a tough one! Once upon a time my (honest) answer would have been french fries but now there are just too many options... sushi, curry, crab, pizza, cereal, chinese, all the cheeses, bread... you get the picture! What's the weirdest dream you have ever had and what do you think it meant? If the zombies attacked, what would be your game plan? What random talent are you secretly (or not so secretly) proud of?